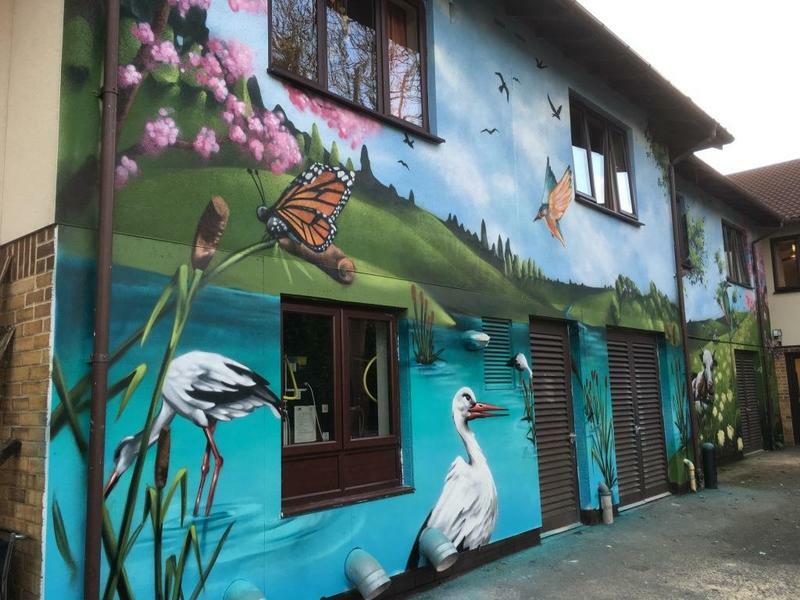 A wall of Brunelcare’s Deerhurst care home in Soundwell has been dramatically decorated with an impressive mural – bringing forest wildlife to Deerhurst’s grounds! 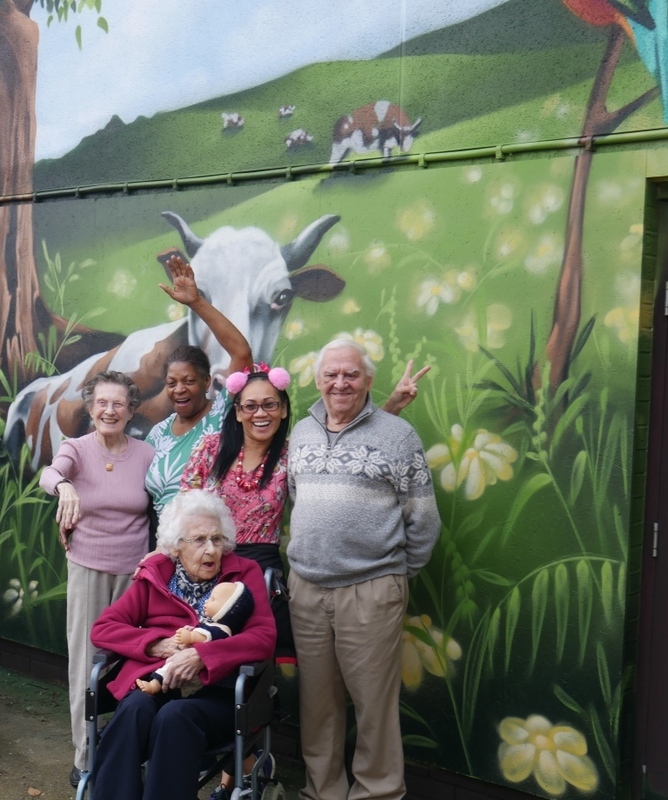 The mural was paid for by generous family donations to Brunelcare, in memory of loved ones who have lived at Deerhurst. 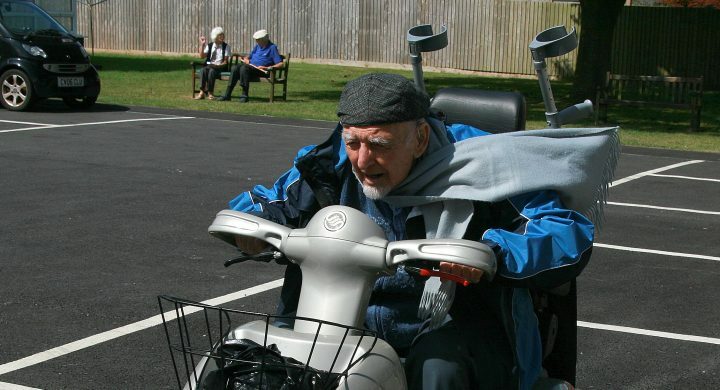 The mural is a touching and spectacular way to remember those loved ones and in many ways simply shares the vibrant and colourful atmosphere that is Deerhurst care home. 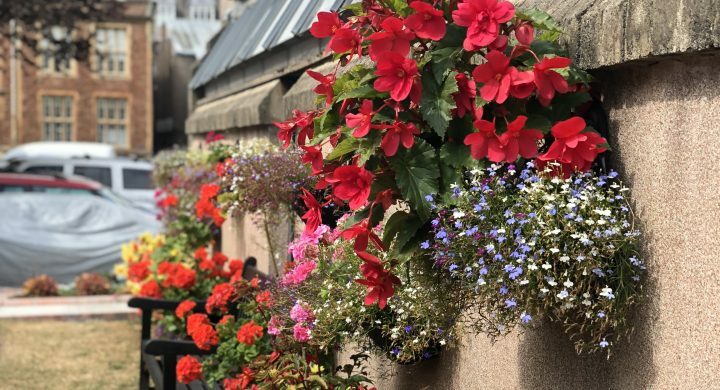 The wall is also overlooked by the pre-school next door, and will no doubt bring some delight to the children as they play outside. Experienced mural artist, Andy, of Zase Design, explained this was one of the largest murals he has painted. It took three days to complete and required scaffolding and several hundred cans of paint.